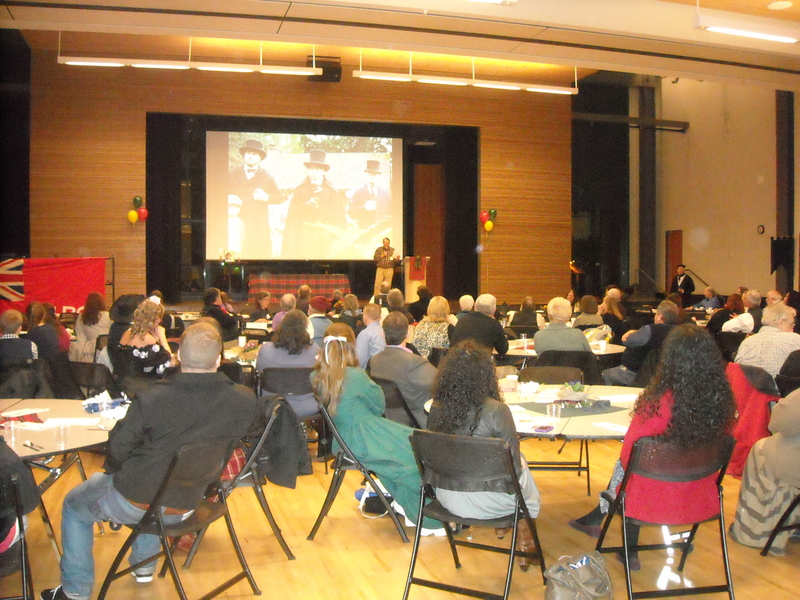 What a room full of history nerds eating dinner looks like . . . Readers, I got so many lovely compliments, from being compared to Judy Holliday and Lady Mary from Downton Abbey, to someone telling me I looked like I had walked off the set of Mad Men (gah!!!!). And I have to say that I am just so grateful to be part of nerdy, fabulous history community that embraces my quirky vintage side. 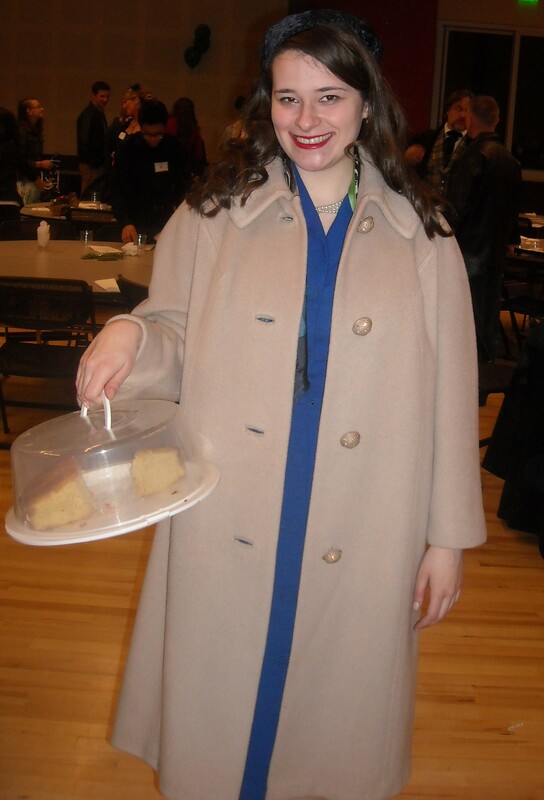 Of course, dressing vintage, I had to make a pineapple upside-down cake the for the potluck, and here I am triumphantly showing the leftovers in my vintage camel wool coat. 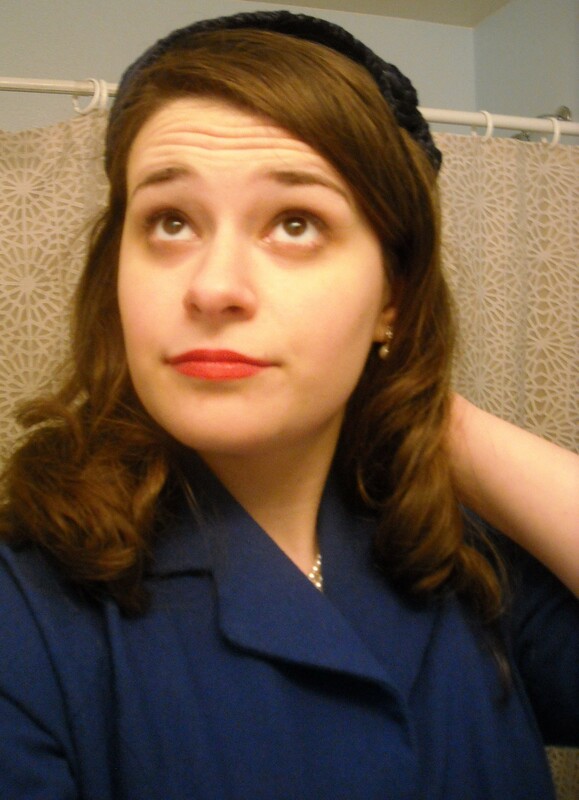 I also got compared to an airline stewardess, so of course I had to do an airline stewardess pose once I got home. And dressing vintage would not be complete without the accessorires, right? 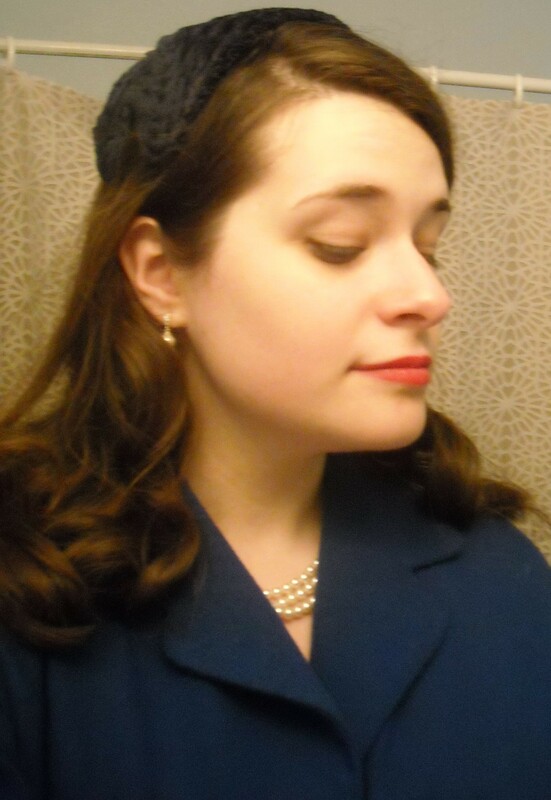 In this case, I wore my blue velvet vintage hat, my pearl and diamond earrings, and my grandmother’s pearl necklace. That blue dress is gorgeous!! You look lovely Anna. What a wonderful color! It is stunning! So sorry we missed you at Fur & Feathers, but hopefully we’ll get to see you soon! Thanks, Janey! And I hope to see you and the rest of the Portland vintage crowd soon. You look fabulous! That ’50s look (and that shade of blue) really suits you! Oh, gosh, thank you so much!